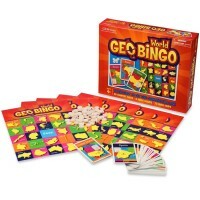 Get your family and friends to play 5 fun educational geography games with this GeoCards World Geography Card Game. 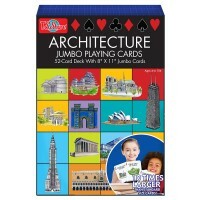 Jumbo cards mean jumbo fun! 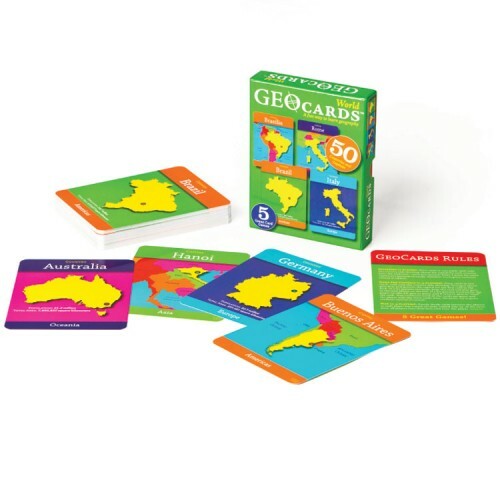 The Geo Cards World - Geography Card Game by GeoToys is an exciting flash card game perfect for kids of all ages. 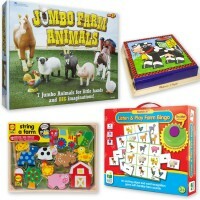 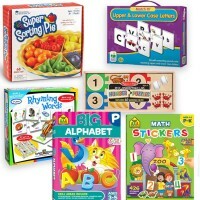 This unique activity set from Educational Toys Planet features 50 colorful and durable jumbo cards, each showing countries on one side and capital cities on the other. 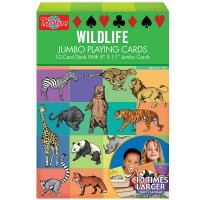 Each card also includes information about countries such as population size and land area. The Geo Cards World - Geography Card Game includes instructions to play 5 different educational games, helping kids learn how to read maps and identify places around the world. 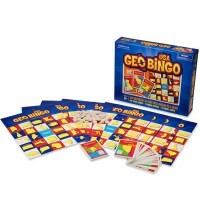 Gather your friends, family, classmates or challenge yourself with these 50 exciting GeoToys flash cards. 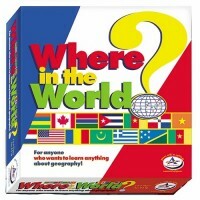 All 5 activities are great for 1-4 players, making this geography card game perfect for any classroom or family game night. 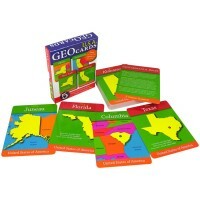 Write your own review of Geo Cards World - Geography Card Game.